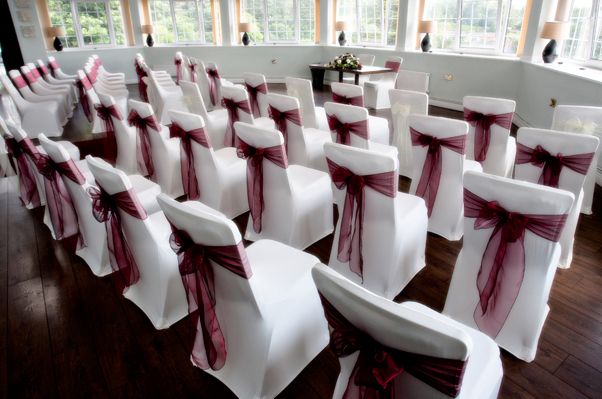 The Alexander Suite is the main function room and is an incredibly popular wedding venue. With the capacity to seat 300 guests comfortably and up to 250 guests when arranged to accommodate the dance floor and staging for a band or DJ. The Conservatory provides a medium size setting for your wedding seating up to 100 guests for your ceremony and 70 for the wedding breakfast. Its half crescent windows overlooking the coastline ensure a picturesque background and the comfortable furnishings and contemporary decor ensure a beautiful foreground. The Bryn-y-Mor Suite is perfect for more intimate weddings, seating 20 guests or less.